National Hispanic Heritage Month concludes today. To commemorate, read on to learn about some of the early Hispanic Americans to serve in Congress. Think Hispanic Americans are relatively recent arrivals to national politics? Think again. Joseph Marion Hernández, the first Hispanic to serve in Congress, was also the first delegate from the territory of Florida. When Spain transferred Florida to the U.S., Hernández transferred his citizenship and was elected to the House as a Whig in 1822. He served until the end of the Seventeenth Congress in March 1823. Later, having failed to win re-election to the U.S. House, he served in the Territorial House and in the army during the war against the Florida Indians, during which he commanded the expedition that captured Oceola. Hernández lost his bid to represent Florida in the U.S. Senate before moving to Cuba to oversee family property there. Twenty years after Hernández’s stint in Congress, José Manuel Gallegos arrived in Washington to serve as New Mexico’s delegate in the U.S. House. His opponents contested his election both in 1852 and to the following Congress in 1854; Gallegos served his first term but was denied his seat after Miguel Otero’s contestation. 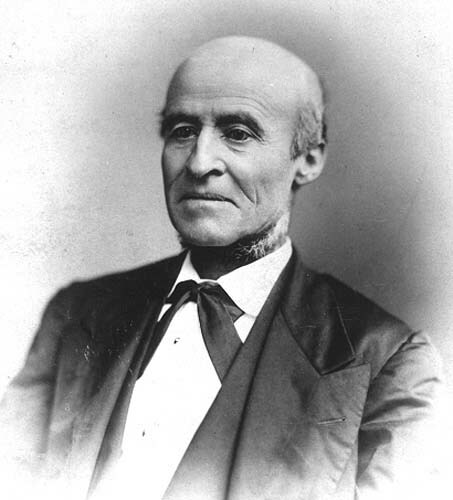 Gallegos’ political career continued in the territory (he had begun adulthood as a priest) and included a return to the U.S. House as New Mexico’s delegate in 1871. In the midst of this career, during the Civil War, the Confederates took him prisoner—Gallegos had been a strong Union supporter since the start of the war. Numerous other Hispanics served in Congress throughout the 19th and 20th centuries. As their numbers increased, five members founded the Congressional Hispanic Caucus, which initially focused on urban housing and education, including support for bilingual programs. In 1989 Ileana Ros-Lehtinen became the first Hispanic representative from Florida since Joseph Marion Hernández; she is also the first Cuban American and first Hispanic woman to serve in Congress. Last year, I wrote a post about the issues and controversy surrounding the Columbus Day holiday; however, this year, with that holiday right around the corner, it seemed fitting to focus on something a little different happening right now: National Hispanic Heritage Month, which runs from September 15th through October 15th. It is a wonderful celebration of the many contributions to our country from those who have come and settled here from all over the Spanish-speaking world and the generations of their ancestors who continue to so positively contribute to our country today. Unlike most commemorative months that usually begin on the first of the month and end at its conclusion, this one saddles two different months for several reasons. First of all, the month of celebration begins on the day, September 15th, that Costa Rica, El Salvador, Nicaragua, Guatemala, and Honduras all gained their independence. Additionally, September 16th is the anniversary of Mexico’s independence, and September 18th that of Chile. Lastly, Columbus Day, or Dia de la Razas, also falls within this month long commemoration. Like any other month that is nationally recognized and celebrated, National Hispanic Heritage Month came from a congressional resolution, originally passed on September 17, 1968, setting aside a week-long celebration. It remained a week celebration beginning on September 15th each year for twenty years. Finally, on August 17, 1988, President Ronald Reagan stretched it out to a month-long celebration, and National Hispanic Heritage Month has been commemorated from September 15-October 15 every year since. If you are interested in more information, please go to the official website at: http://hispanicheritagemonth.gov/about/.